Michael Bierut is an award-winning designer, partner at Pentagram in New York City, and author of various books on design. Over his decades in the field of graphic design, he has witnessed a shift in public awareness, especially when it comes to logos. 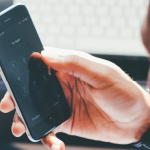 With this increased attention, some endeavors (like political campaigns) that once relied on relatively simple conventions (candidate names and variations on flags) are being called upon to develop more refined and versatile solutions. Whether by accident or design, President Obama’s rising sun logo changed the landscape of presidential graphic design. The distinctive ‘O’ shape was simple and correspondingly highly flexible, able to be deployed in different contexts and at various scales. That logo, notes Bierut, “established a benchmark for campaigns” going forward, in part because its central feature (the stylized ‘O’) could be pulled out and used independently of the candidate’s name or election year text. Still, when something so minimal is released into the world, it becomes a kind of inkblot test for both fans and critics, a foil for expressing their existing opinions. Facing down criticism, the campaign stood by the logo and it ended up being widely used in various ways and contexts. 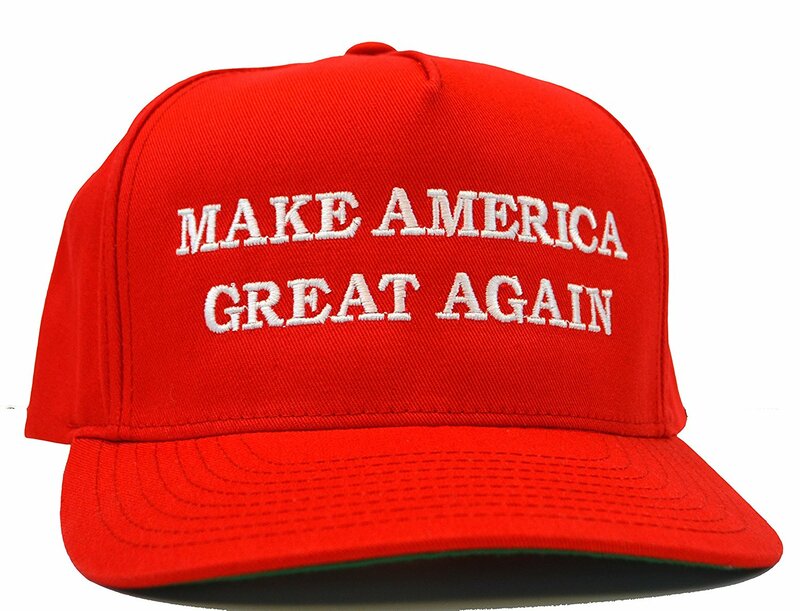 Meanwhile, Bierut cites the MAKE AMERICA GREAT AGAIN hat as being emblematic of the opposing campaign, serving almost like a logo. “It’s a populist sort of thing,” he says, “clearly not something one associates with coastal elites” or intellectuals or business attire-clad professionals . “It’s meant to be the kind of thing you associate with hard-working, salt of the earth Americans.” As a wearable object, the hat became both highly visible and a signal of particular commitment. It is also reflective of the candidate — one can read echoes of his speaking style into the bold capitalized white letters against the stark red background. Of course, there was also the official Trump/Pence logo, which met with a great deal of criticism upon its release. For many, the T/P ligature in particular called unsavory associations to mind, quickly resulting in animated versions (and ultimately the disuse of the logo itself). Bierut thinks if they had stuck with the design, though, people would eventually have accepted it and moved on. Logo design has not always been such a major source of public scrutiny and controversy. 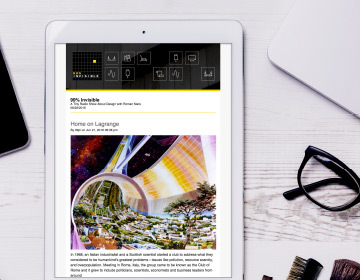 When the United Parcel Service (UPS) changed their logo in 2003 to reflect a broadening of their business beyond package delivery, the redesign elicited a few articles. Much of the criticism and discussion that took place, however, happened within design community forums and chat rooms rather than big social media sites. The rise of social media and online publishing has since changed the equation for logo criticism. When Gap unveiled its new logo 2010, it sparked a huge outcry from brand fans and citizen critics. In a way, this shouldn’t have come as a surprise — people are invested in the logos of things they love — but Gap was not expecting such a high level of resistance. Eventually, the company caved and reverted to its old logo. Brand attachment to big banks and other corporations is one matter, but it tends to be less personal for people than things like sports. Changing a logo for a team or league can lead to very passionate responses. For a time, many sports fans were attached to a version of the Big Ten logo featuring the number 11 in its negative space (reflecting the fact that there were actually eleven teams in the conference). As the increasingly misnamed Big Ten added more teams, however, the strategy of keeping a hidden number became increasingly challenging. So when Michael Bierut and Michael Gericke tackled its redesign they went with the word BIG and an implied 10 (in the ‘IG’). Despite the inaccuracy of its predecessor, the new logo (predictably) resulted in an initial round of outrage from impassioned fans. Bierut defends these critics, pointing out that “those people are the loyal fans … [the] passion that makes them sit in those seats when the weather is terrible [is] the same passion [that] is going to make them take it personally” when a new logo is released. In a way, even outrage is better than indifference — it shows people care. Confronted with criticism, Bierut writes back with polite responses, putting a name and face to the work he has done. While he can’t always change someone’s mind about a given design, he can show them there is a thoughtful human behind its creation. Bierut often finds things to appreciate about logos, even ones he doesn’t particularly like initially. Take the Met for instance: it is easy to see how the Metropolitan Museum of Art tried to modernize their image with its new logo, but the old one also had a degree of complexity that seemed to fit the labyrinthine establishment. Still, Bierut believes the new and simplified one will work out in the long run. 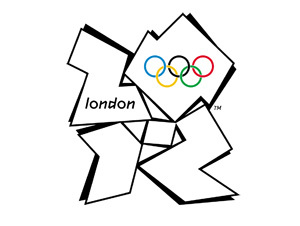 The logo of the 2012 Olympics was likewise widely criticized at the time, and Bierut can see why: it is chunky and jagged, ungainly and complex. But he can defend it as well: its idiosyncratic and specific nature arguably makes sense for a complicated and one-off series of cultural and sporting events. Given time and (sometimes negative) space, logos can also reveal elements that surprise and delight, akin to the hidden objects on the backs of old Highlights magazine issues. There is an arrow, for instance, tucked inside a white void in the relatively simple-looking FedEx logo (hint: look between ‘E’ and ‘x’). One trick for those seeking to avoiding extreme initial reactions (in either direction) is a low-key release. A recent Kodak logo redesign was rolled out without any special fanfare. In this case, the new logo was meant to reflect a rebirth of a beloved company, long associated with a simple rounded shaped an implied ‘K’. The latest design recalls older versions with a twist: stacked rather than horizontal lettering. Another technique to reduce logo-related hostility is to “flip the rebranding process on its head by sharing each step with the masses,” as Wired reported with regards to Mozilla’s recent logo redesign. Their “experiment was a response to the vitriolic state of online logo criticism … Rather than defend itself after the fact, Mozilla posted proposed logos online, where anyone could comment.” The end result is a design that cleverly incorporates part of internet addresses (‘://’). Of course, not even this process could stop critics from attacking the final version. Another key to successful redesigns is avoiding paths of least resistance, like chasing trends — even simplicity can be overdone. In the 1960s, switching to the minimalist typeface Helvetica became an easy way to modernize logos. It fell out of favor for a time but has made a comeback with companies like Diane von Furstenberg, which recently switched from a more complex and stylized shape to a typed-out name approach. “So instead of the idiosyncratic DVF monogram that they had before,” explains Bierut, “now it’s the words Diane von Furstenberg … and it looks clean, neutral, smart” but, he says, the minimal version can also come off as “impassive and expressionless.” Still, as with other logos, this one will no doubt also find love from fans of the brand. Logos are somewhat exceptional elements in the realm of graphic design. Book covers, for instance, have “one moment of truth,” says Bierut, referring to the short time between a customer spotting a volume and deciding to purchase it. 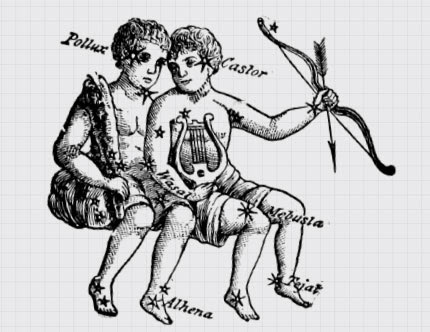 Their design then becomes secondary. In contrast, even simple logos a child could draw appreciate in value over time as they become more and more associated with the organization they represent. Public participation in logo criticism is often powerful but generally short-lived — in the end, people are more invested in the thing represented than its visual brand identity. “At the end of the day,” says Bierut, “graphic design is really important … but it’s also one of the most cosmetic things in the world.” He presents a simple, real-world example: if you can read the exit sign then you can find your way out of the building, whatever typeface it happens to employ. But if the exit door is nailed shut, you may have a serious egress problem. Of course, the exit sign’s design can be better or worse, fitting the architecture or contradicting the aesthetic of a place, but those small differences are rarely a matter of life and death. So designers and critics take note: it can be fun to care about logo designs, but keep the stakes of the game in mind and remember those logos you once hated but have learned to love over time. 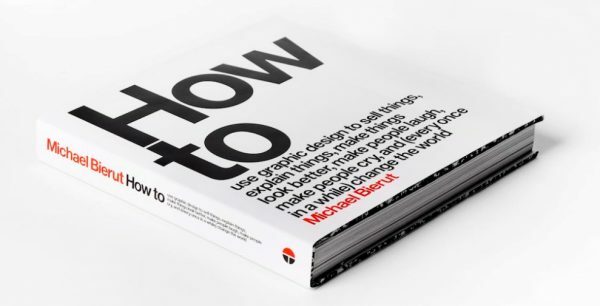 Meanwhile, for more from Michael Bierut, check out his book: How to Use Graphic Design to Sell Things, Explain Things, Make Things Look Better, Make People Laugh, Make People Cry, and (Every Once in a While) Change the World. Also be sure to subscribe to The Observatory, a podcast hosted by Michael Bierut and Jessica Helfand as well as its sibling show: Design Matters with Debbie Millman. And for more logo design critiques with Roman Mars, read his thoughts on Government Logos From Best to Worst at the Washingtonian. Has a company ever changed their logos on a regular schedule on hopes the logo itself will generate sales of the same old article but now with a new logo? On the topic of hidden pictures, I really appreciate the Amazon logo – not only do I see an arrow “from A to Z,” I also can see it as a smirk. How wonderful to get a package in the mail that already is trying to make you smile! Love this episode & Michael Bierut is great. Loved this episode. 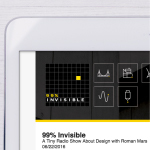 Fascinating, and also really enjoyable to hear an episode solidly devoted to some straight-up graphic design geekery (not that some of 99PI’s recent topics have been any less interesting, but there’s always something to be said for going back to your roots, I think). 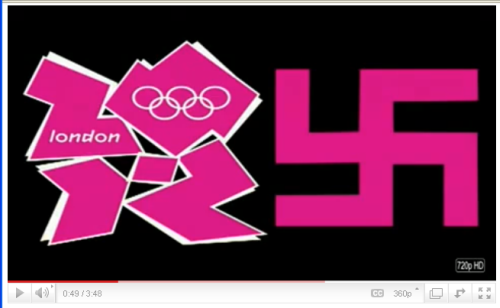 Interestingly, this is one of the top Google Image search results for the London 2012 Olympics logo: https://camelsnose.files.wordpress.com/2011/03/olympic-conspiracy-swastika500.png. Just goes to show! One factor I see is that when when a company loses its distinctiveness, the logo ceases to matter, and logo changes just remind people of the commodification of most products. I’ve got lots of blue-collar friends who used to be strongly invested in their brand of beer/cars/jeans but now don’t really care because the beers are all brewed in the same InBev vats, the cars are indistinguishable and boring, and the jeans all come off the same looms of the same subcontractors. In fact, the only thing that will get a reaction of any passion is a “Made in USA” sticker or a truly family owned business’ product. To many people a logo change communicates (accurately or not) that the brand got sold, and there’s no longer any connection to the founders. Logo changes remind people that there is no longevity, legacy or continuity…so why care? Where is my bank headquartered, and what makes it distinctive? I lost track after the 3rd or 4th ownership change, and stay with them because the alternative is another ever-morphing conglomerate. So while the design aspect is interesting, I’m not sure logos do much goid unless the actual product is distinctive in some way. 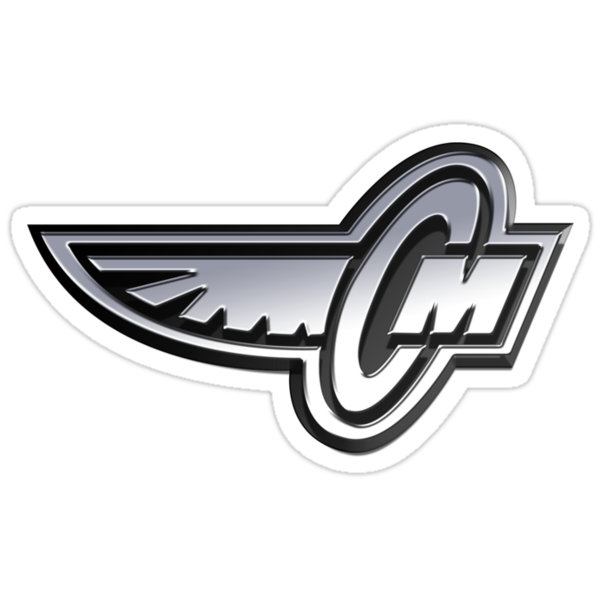 It’s the logo for a fictional motorcycle company (think harley davidson) called Corley Motors. The company existed in a videogame about motorcycle gangs. It’s a triple entendre. It’s the letters of the company, CM. It’s a wheel with wings, which speaks to the freedom that a motorcycle embodies. And it’s a knife with a hilt, which plays to the violence culture. I love it. I found Michael Bieruts perspective so refreshing! Honest, down-to-earth reflections about design and people’s response to design are too rare! So much of this conversation transcends design and moves into the general creative process and how people respond to ideas that push folks out of their comfort zone. This is my favorite 99% episode yet! Wow, Mike was so interesting and entertaining. I really never knew I could listen to anything about logos for an hour and be so entertained. It also seemed like you, Roman, also really enjoyed the interview. I will definitely be checking out his podcast. What is that tune right at the end? Mr. Beirut gave a wonderful, interesting, and engaging interview, at turns laugh-out-loud funny, and always insightful. Roman was clearly star struck; after 5 minutes so was I. Easily cracked my Top 3 all-time 99% invisible episodes. This company has its logo on packing tape, so I first saw it at 45 degrees and did a bit of a double take. Not ideal. The Hillary logo really lacks what made the Obama logo better, the blue is the wrong shade, and there are no white outlines to break up the eye shattering contrast between the red and the blue, that makes it lack harmony and and blends into a blob of color instead if distinctive shapes and colors. The old UPS logo really looks better, it just needs a different execution, perhaps inverting the colors so that the shapes are brown, and the text and ribbon outline are white, and a different font because of that p.
The London 2012 logo reminds me of the 1930s expressionist designs. I love what was done with the Kodak logo, it really capitalized on that distinctive shape that Kodak had developed by now, and if you’re marketing Kodak, you’re not marketing it to a new audience unfamiliar with it, you ought to aim it towards the people who already knew Kodak and cherished that image, rekindle that connection and carry it forward into newer generations, instead of building it from scratch. Michael Bierut is a smart person and I loved this episode but the Hilary logo was terrible. It was terrible because it truly did reflect the corporate Hilary vibe. It looked like a logo for an insurance company. Bierut recognized why Trumps hats worked. The difference between the two really sums up the campaigns in a lot of ways. The flexibility of the hillary logo isn’t always a GREAT thing. This is my favorite episode of 99pi. Michael Bierut’s ability to be objective and non-judgemental about good branding that gives people a visceral and negative reaction is really refreshing. I’m probably in the minority, but I don’t hate the GAP’s rebranding and I understand why they reverted under pressure from consumers. I’d love to hear more episodes about the logo design and brand identity development process in the future. Great work.